With the school year fast approaching, we are looking for ways to get a head of the insanity that comes with it. We are meal planning, creating homework stations and just plain getting organized. One of the things that seems to fall by the wayside when school, soccer and piano all take over our lives is eating together as a family. We often don’t have time for elaborate meals or clean up which is why we have turned to easy meals and clean up to help out. Being able to throw something in the slow cooker makes evenings during the school year so much easier, especially when we use Renyolds Kitchen Slow Cooker liners and Hefty Foam Plates for fast clean up! I love using Reynold’s Parchment Paper for easy baking clean up and Reynold’s pans for easy casserole or freezer meal clean up. The best part? Hefty makes the clean up from dinner so easy with their garbage sacks and their soak proof plates. 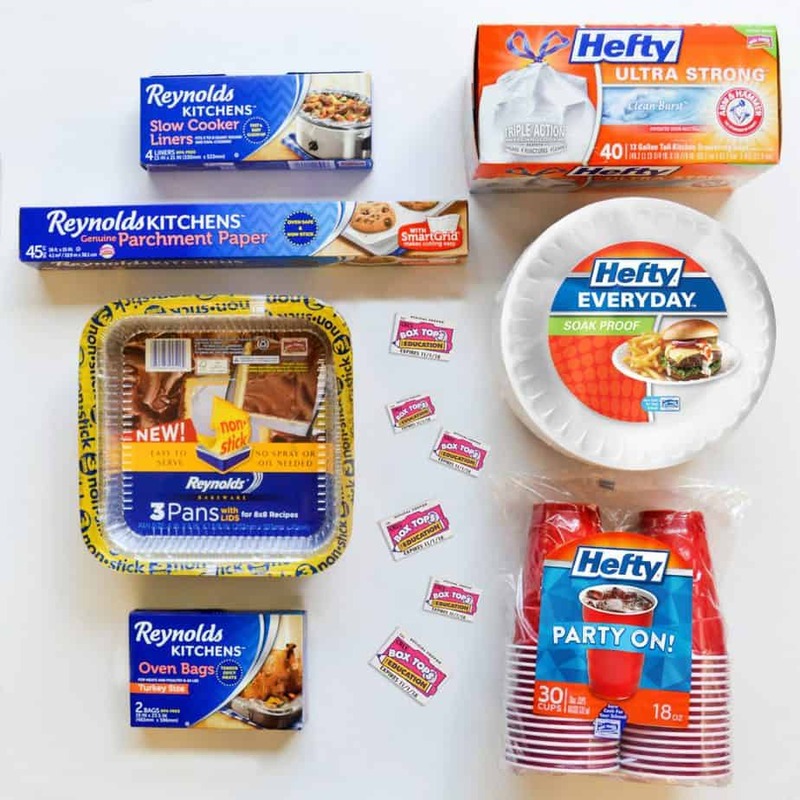 Reynolds Kitchens™ and Hefty proudly support the Box Tops for Education initiative which helps schools like mine raise money for supplies, technology and more. Find Box Tops on most Reynolds Kitchens™ products like Parchment Paper, Oven Bags, Slow Cooker Liners and Bakeware Pans. You can also find Box Tops on Hefty Trash Bags, Hefty Foam Plates and Hefty Cups—all things I need to make life easier during the busy school year! As the wife of a former school teacher, I know just how much school teachers spend on their classroom each year and it was enough to be a financial hardship to us each year my husband taught. I don’t every want my child’s teacher to have to experience that so I work to find things I can donate to the classroom and I for sure save each and every Box Top I find. Box Tops add up to make a huge difference. If every parent did their best to save Box Tops, imagine the help that could be give to our schools! Right now Hefty and Reynold’s have partner with Box Tops for Education to give an amazing chance to help out their school. Now through August 29 you can enter here to be one of 50 daily instant winners and enter to win the grand prize of $1,000 worth of Box Tops for your school! A total of five schools will be chosen for the grand prize and you can enter once a day until 8/29 so bookmark the site and play the easy game often! 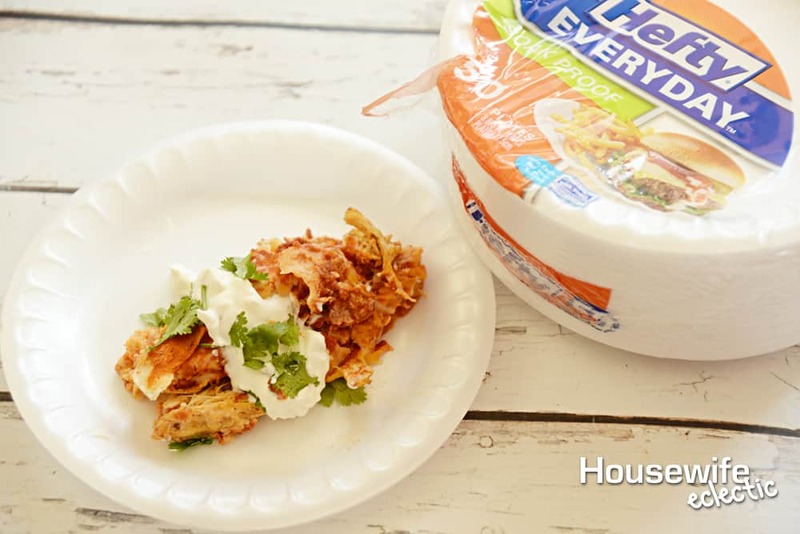 We use our slow cooker often during the school year to help with those busy school nights paired with slow cooker liners and Hefty Paper plates, these slow cooker enchiladas will be the easiest prep and clean up you have ever had! 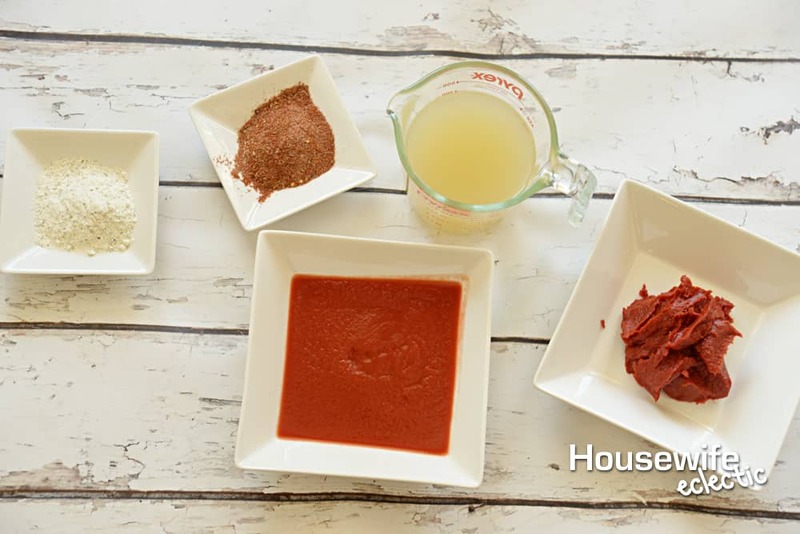 Combine the taco seasoning, ranch packet and cumin together in a small bowl until well mixed. Slowly add in the chicken broth and stir until combined. 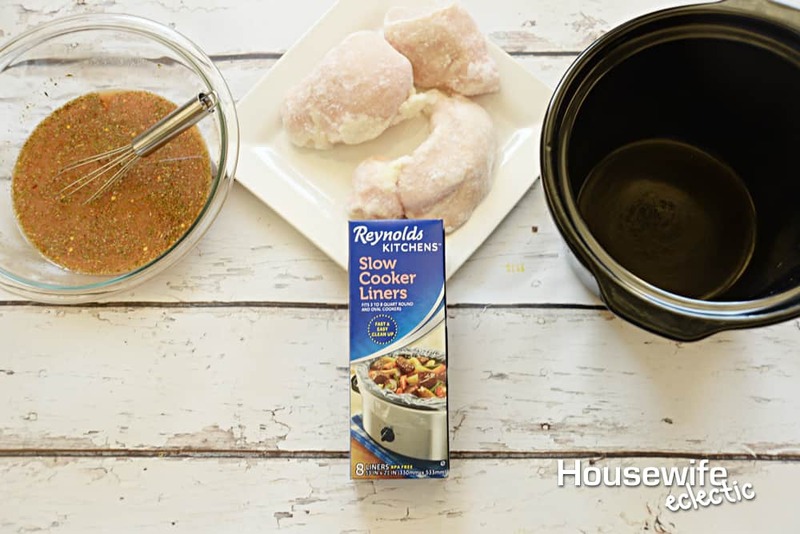 Add a Reynold’s Kitchen Slow Cooker Liner to your slow cooker to make clean up easy! 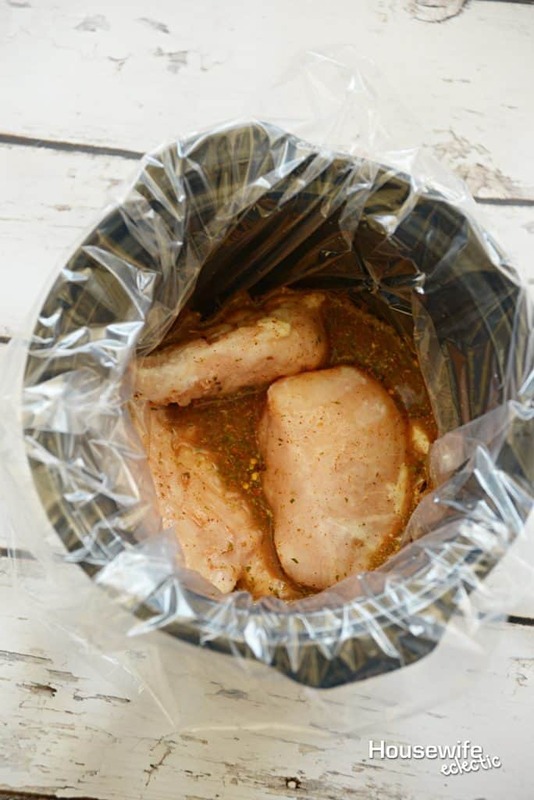 Place the frozen chicken breasts in a slow cooker and pour the seasoning you created over the top of the chicken. Cook on low 5 hours. 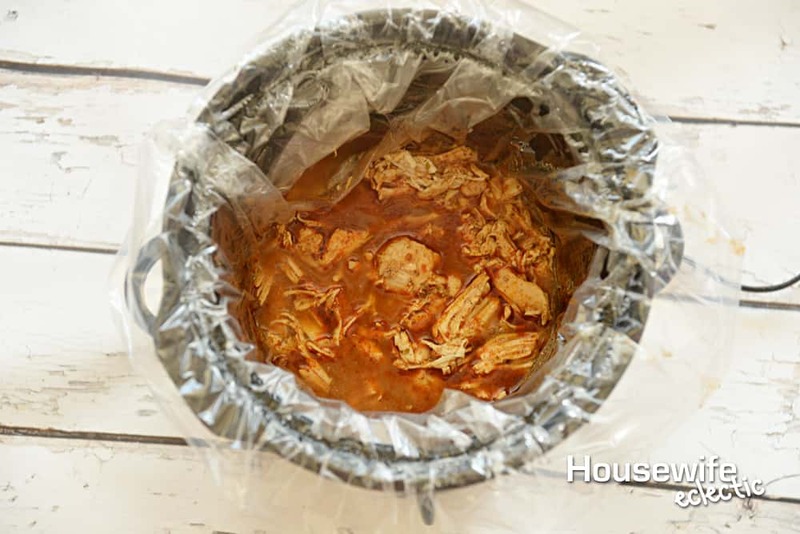 Remove the chicken from the crockpot and shred it. Return to the crockpot for another 45 minutes. Remove the chicken again and set aside. Pour the liquid from the crockpot into a saucepan and add in the can of tomato sauce (you may need less than a full can depending on how much liquid you have left over). Add a 1/2 can of tomato paste to thicken. Stir well and bring to boiling. Remove from heat. 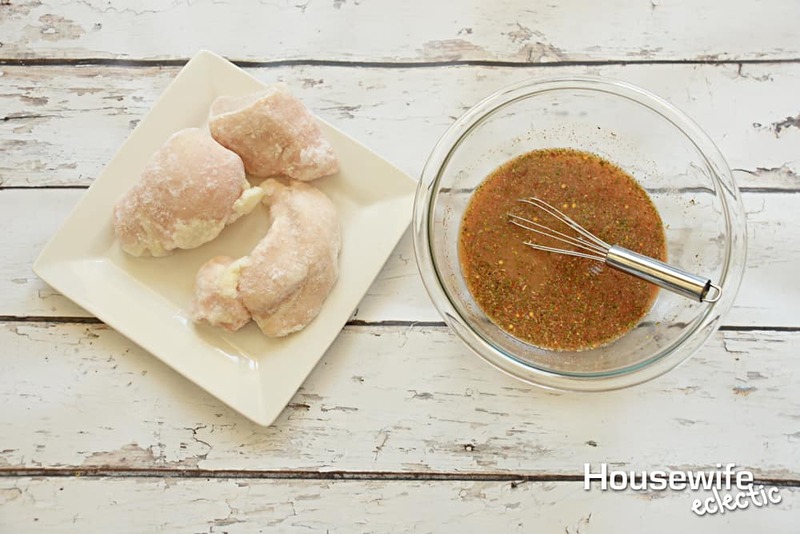 Ladle some sauce into a glass baking dish so the bottom of the dish is covered in sauce. Prepare the enchiladas by placing a line of chicken and cheese down the middle of a tortilla. Sprinkle some cilantro on top. Roll up and place in a glass baking dish. Repeat for all enchiladas. Pour the enchilada sauce over the enchiladas until they are well coated. Sprinkle cheese on top and garnish with cilantro. Bake at 350 degrees for 15-20 minutes or until well heated and cheese is melted. With preparing for back to school also comes thinking of ways to help support my child’s classroom. I love bringing in extra school supplies and clipping Box Tops for Education off of my favorite products. What items do you buy with Box Tops on them? I usually just cook the chicken on the stovetop but it’s been SO HOT lately that a slow cooker would not only save me time but cool things off in the kitchen. I’ll have to give it a try! Oooo yum! I’ll have to try these out. I LOVE those crock pot liners. It makes cleaning up so easy, which makes me happy. We are always saving the box tops for school. Crockpot is my go to for tons of different meals. This makes clean up even easier. It’s funny how crock pots were popular when I were young and now their in vogue again. Slow cookers save time which is something we all need more of. Great recipe! My daughter has celiac so we are always looking for new ways to make my favorite meat: chicken. This is great because I love the ease of crockpot meals. I do not have to eat gluten free but this recipe still looks amazing for our family. We are always looking for crock pot recipes. WE love the Box Top Program for our school too. I love chicken meat, my children love it too. I am excited to try this recipe, we will surely enjoy this good food. yum! I These enchiladas look so delicious! I love that their gluten free toO! While I don’t use the slow cook feature on my cooker I might have to give it a try with the pressure cook feature! Looks good! 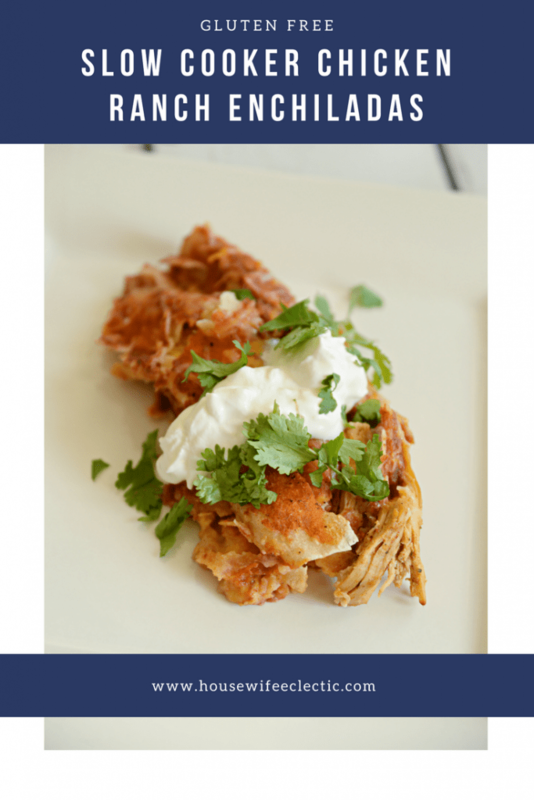 Your chicken ranch enchiladas recipe looks delish! I’ve never tried making enchiladas using the crockpot before, but that’s an idea for back to school meals. I’ve yet to buy my first crock pot! I think it will make my life easier, especially with yummy recipes like this. I have celiac disease so I’m always on the hunt for new gluten free meal ideas. This one looks good! I have never thought to add ranch to my enchiladas! Great idea! I love cooking with my slow cooker! 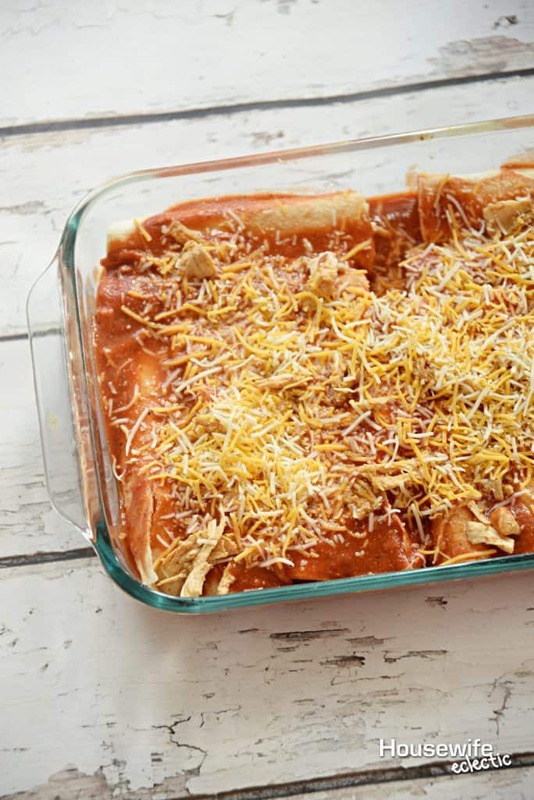 This enchilada recipe looks so good! I love the idea of adding ranch to this recipe! Oh those enchiladas looks so delish! I wanted to try this enchiladas gluten free. Ohh yum! Those enchiladas looks so delicious! 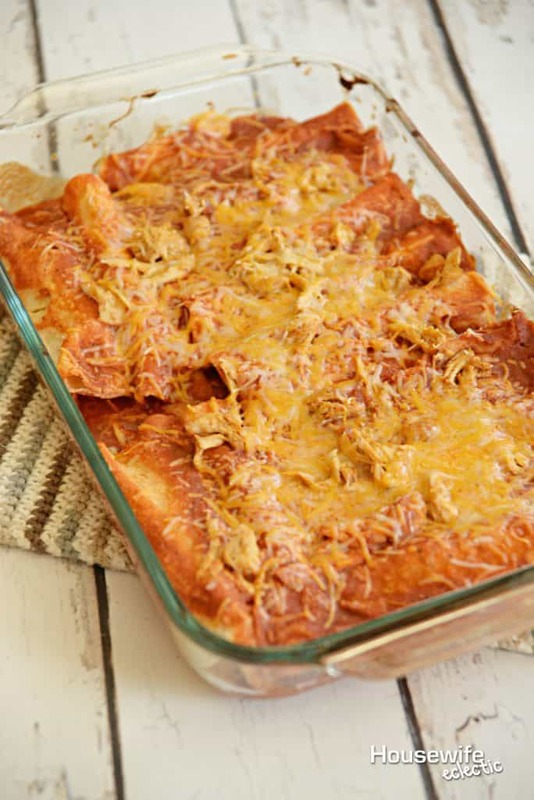 It’s been years since I’ve eaten enchiladas and now I can’t stop thinking about this recipe! I so want to try this! Great recipe, great photos!! Looking forward to taste this awesome dish!